Embark on a magical journey by visiting the most popular Harry Potter filming locations in Scotland. Photography and Harry Potter can both happily claim to have their beginnings firmly rooted in beautiful Scotland. Scotland’s weather and sunlight play out over breath-taking landscapes and offer the chance to come away with some truly stunning photographs. It’s easy to see the reason some of these unique Scottish locations were picked as the perfect backdrop for many of the scenes in the world-famous Harry Potter wizarding movies. The lochs, glens, and fells speak for themselves in sheer beauty and majesty, easily belonging to a world of wizardry. 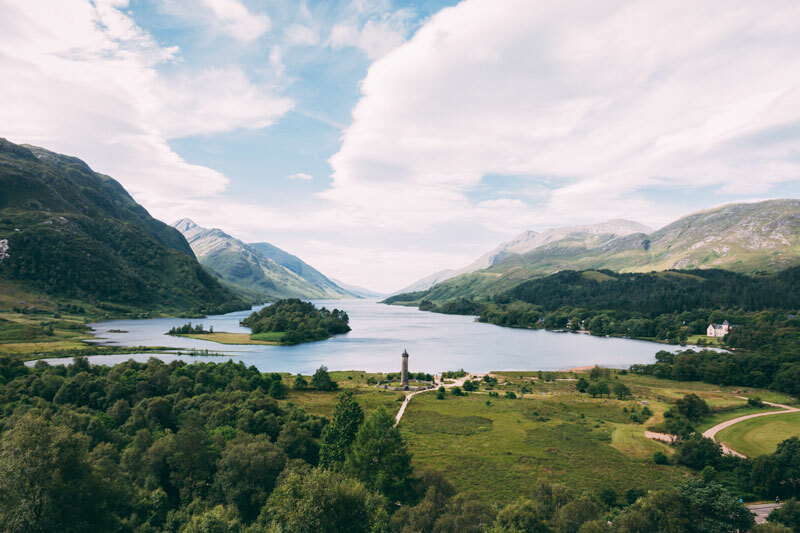 Embarking on a Harry Potter location tour of Scotland is the perfect way to combine your love for Scotland and all things magical. You can travel by car, train or bike and at each turn, as the light and landscape reveal colour and emotion, you can be sure of a magical adventure. The Elephant House in Edinburgh is widely regarded as the birthplace of Harry Potter. This delightful gourmet tea & coffee house and restaurant is where author J.K Rowling first put to pen to paper. It’s said that she was inspired by the stunning views of Edinburgh Castle. You can also visit the Royal Mile and see the writer’s handprints, set in stone to mark her creative achievements. 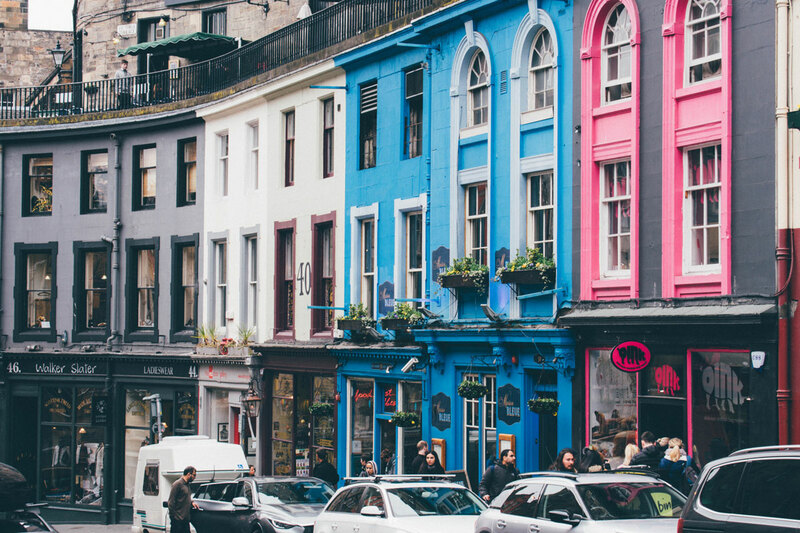 Before leaving Edinburgh to explore the wilder, natural locations, then a trip to Diagon Alley is an absolute must. Victoria Street and Candlemaker Row proudly bear the plaque of Diagon Alley. They can claim the fantastic honour of being the source of inspiration for the wizarding world’s finest shopping street. Want to snap some pretty pictures? The colourful houses and split-level streets are perfect for practicing architectural photography and working with different lenses for bold colours and bright composition. Eilean na Moine and Loch Eilt played host to host some of the saddest scenes in the movies and is featured as Dumbledore’s final resting place. If you’re looking to create moody shots of a darker and sadder nature, then the surroundings and the feelings associated with them work together in perfect harmony. If you want to create drama, then remember this is the infamous site where Voldemort stole the Elder Wand. Loch Shiel has been named as a special protection area for several types of duck and bird species. At the right angle, you may even be lucky enough to spot some of these protected birds in flight. The Loch has been used as the backdrop of Hogwarts School of Wizarding in several of the films and, is the location of the Black Lake in The Prisoner of Azkaban and The Half-Blood Prince. Any self-respecting Harry Potter fan will also instantly recognise it as one of the sites of the Triwizard Tournament in The Goblet of Fire movie. If you’re feeling adventurous, this location also features a 20-mile off-road section, photographs taken along this route are unlikely to be replicated and will remain as unique and diverse as the changing scenery. 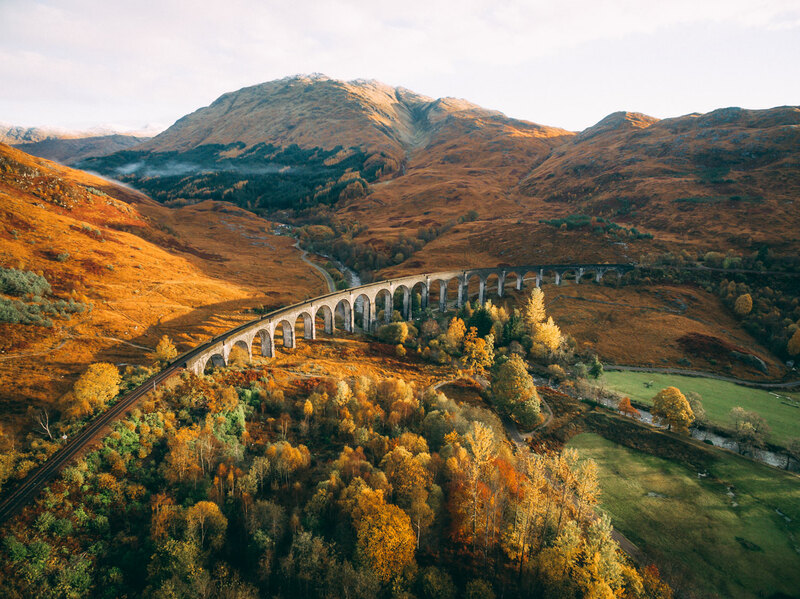 The famous railway viaduct that speeds the Hogwarts express along its journey, with its sweeping views and promise of adventure, is the Glenfinnan Viaduct, situated in The Fort William region. Most of the photographs you’re likely to see will have been taken from the northwest, underside of this amazing piece of 18th Century engineering feat. The Viaduct isn’t just famous for the 4 Harry Potter films it featured in, as to be expected with Scotland, it has its own intriguing history to be discovered if you so choose. Loch Arkaig is an ancient pine forest, just under an hours drive from Fort William. If you want to imagine yourself flying through the sky on a Dragon, then this is where Harry Potter did it in the Deathly Hallows Part 2. With open skies and plenty of water, this is a superb location for a Scottish day out. You may also be lucky enough to catch some photos of unusual wildlife connected to living in this ancient forest. Loch Morar is perfect for wide shots and panoramic landscape scenes. It’s also the rumoured home of Nessie’s sister, Morag the Dragoness. So, you never know what mythical creatures you mind find hiding in your negatives. There is a wealth of cottages and hotels to stay in within the Fort William region which sits in the shadow of the mighty Ben Nevis. Fort William is also an ideal base to cover all of the Loch locations mentioned above. Rannoch Moor was the filming location for the harrowing scenes where the death eaters stopped the Hogwarts Express to board the train in Deathly Hallows Part 1. The Moor itself is quite boggy and famous for being home to some very unusual species of insect and plant life. If taking a closer look at insects and fauna is your thing, this is the ideal spot. 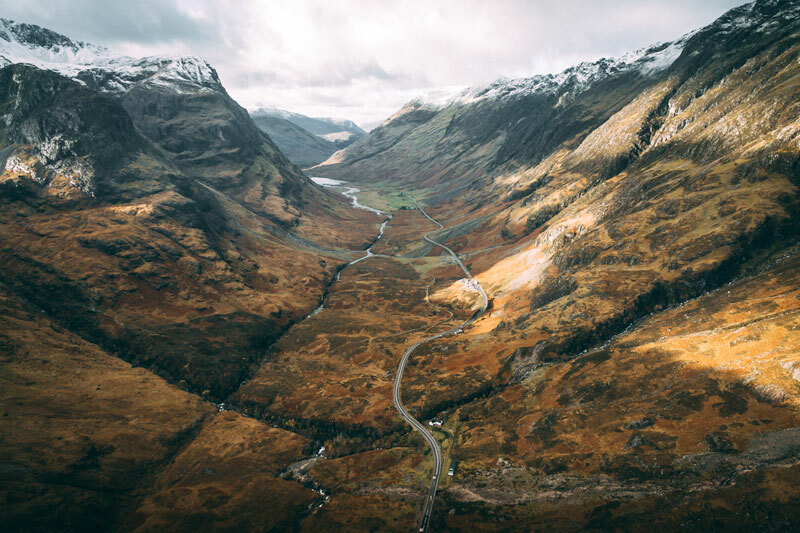 Glencoe is the backdrop to Hagrid’s house in Harry Potter and the Prisoner of Azkaban. There were originally three sets created, including the huts and pumpkin patch nestled amongst the incredible scenery, overlooking the Torren Lochan, and the Signal Rock forest. Once you’re finished visiting Hagrid’s hut, you can explore the rugged hills of the glen which are picture-perfect. The ever-changing sunlight through the valleys here can create some moody shots. Many of these stunning locations are along the West Highland Line which can be traversed on the Jacobite Steam Train, affectionately known as the sister of the Hogwarts Express. It’s the perfect way to take in some of Scotland’s most beautiful and most filmed locations on the journey.